While Stockholm isn’t my city of birth, I have spent quite some time there, both as a young kid, and as an adult. I have lived in Stockholm for about 2 years in total (quite recently), so I definitely know my way around the city. There is actually a lot of things to do in Stockholm, and to point out the top things is not a very easy thing to do. Since I’m not really a local, you will get an outsiders perspective with a local’s knowledge about the city. In other words, this article isn’t biased, it will be pretty straight forward. Anyways, here are my top things to do in Stockholm, the capital of Sweden! This is probably the part of Sweden that is most famous all over the world. In Swedish it’s called “skärgården”, and “The Archipelago” in English. There are approximately 30,000 islands and islets to explore. 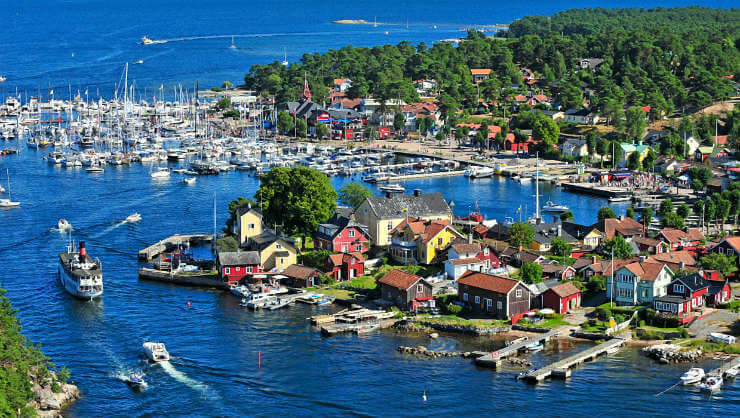 Many swedes have a holiday house at one of the islands, and it’s common to spend a weekend out at the archipelago in the summertime. It’s really beautiful with it’s green nature and the traditional red cottages. To get around is easy, either via boat or car. From the mainland there are bridges to some of the islands, and boat that will take you to the other ones. A trip to the archipelago is definitely something you should write down on your list with “things to do in Stockholm”. If you only have time for one museum while visiting Stockholm, this is the one to visit. Here you be amazed by the only ship that has been preserved from the 17th century. The Vasa ship is magnificent and well worth a visit. If you want a nice eating experience with delicious food and a nice view, then Gondolen is one of the best places to go to in Stockholm. It’s located above the metro station “Slussen”, and offers a very nice view over the water and Stockholm. This is the place where you will find the typical hipster in Sweden. Södermalm, also known as “söder” is a multi-cultural and hip neighbourhood in the southern part of Stockholm. Here you will see lots of different people, from every class of society. You will also find lots of bars and pubs around Södermalm. The prices here are often cheaper compared to Östermalm or other trendy neighbourhoods in Stockholm. The vibe is relaxed and laid back, but remember to be open minded. A beautiful island that is situated right next to the fancy quarters of Östermalm. Djurgården is a popular place among the citizens of Stockholm. Here is actually a lot of things to do, and you will find many attractions here: Gröna Lund, Skansen, Abba Museum, Vasa Museum just to name a few. Another popular activity here is to take a stroll along the waterside and enjoy the lush nature. This is basically the opposite of Södermalm, Stureplan is the night club area of Östermalm (the fancy neighbourhood). This is where the rich and famous of Sweden party and socialize, but it’s also very popular among the younger people in Stockholm. The fanciest clubs have an age restriction from 23 and upwards, and the other ones are often +18 or +20. If you like to pop champagne and have a good night out with your friends (or strangers), then Stureplan is the place to go to. This area is full of history and beautiful old buildings. It’s one of the city’s most popular attractions, and it’s also one of Europe’s most well-preserved neighbourhoods. 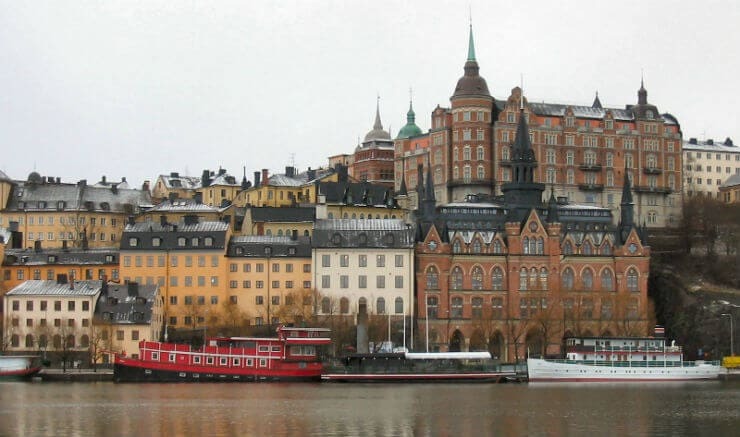 The Old Town of Stockholm plays a very important role in the city’s history. It was here the city of Stockholm was founded, and it was also here that the cruel Stockholm Bloodbath took place, where blood from beheaded men flooded along the streets. Nowadays, despite its rumours about being a haunted place, it’s a very cozy area with lots of small restaurants, cozy cafés, art galleries and souvenir shops. One of the largest shopping malls in Scandinavia. Currently there are 224 stores that ranges from all shopping categories and prices. It was finished late 2015, and it’s great if you’re looking for some good shopping in Stockholm. This is a famous shopping center located in the heart of Stockholm. Here you will find lots of fancy brands, both Swedish brands and international brands. If you’re visiting the city during Christmas or in November, then you shouldn’t miss the Christmas decoration that they have in their display windows. If there’s one thing that Sweden is famous for abroad, except being blonde and beautiful, it would probably be Abba. This is a museum, which is dedicated to the Swedish musical group, that have won the Eurovision and given the world hit songs like “mamma mia” and “dancing queen”. Gröna Lund is located at Djurgården, along the water and is one of Sweden’s biggest amusement parks. If you’re travelling with children, this place is a must to visit, and it’s probably one of the more fun things to do in Stockholm. If you’re travelling with children, this is the perfect combination for a day trip in Stockholm along with a visit to Gröna Lund. Skansen is situated just a few minutes walk from Gröna Lund. Skansen is a combination of history and nordic animals. The history part consists of traditional houses that swedes used to live in and how they used to live before the industrialization. However, I don’t like that they keep animals in cages and closed compounds for human entertainment. Animals deserve to be free, and if they were truly about conservation, they wouldn’t be a profitable company, then they would be a volunteer organization instead. If you’re visiting Sweden during spring, you will see the lovely walk with cherry blossom everywhere. Kungsträdgården is a popular place to take a stroll and enjoy the beautiful cherry blossom. During the winter it’s possible to ice skate in the park.